First of all, what is AMP and why you should know about it. With AMP, you don’t have to worry about personalization of your website or even with keeping it updated without the risk of stopping it from working. There are three core components of AMP namely AMP JS, AMP HTML, and AMP Cache. Let’s discuss them. DOM size restricts the time it takes to have style-recalculations and style so even iframe recalculations are a lot faster than recalculating styles and layouts for the page. AMP also implements web font optimization which is very important in terms of performance. AMP HTML is an extended HTML which is customized with AMP properties so it is a restricted subset of HTML. When using AMP HTML, some HTML tags have to be replaced with ones which are AMP-specific which makes it a lot easier to implement the common patterns that enable it to have a high performance. For example, when using an AMP image tag, you can have a full source set to support that even some other browsers aside from Google can’t really be compatible with yet which is why even though your site is fully AMP supported, it would still work in any browser, search engine, or device. Google AMP Cache enables AMP pages to load fast. It is a cache of validated AMP documents which are published on the worldwide web. Anyone can use it, too. 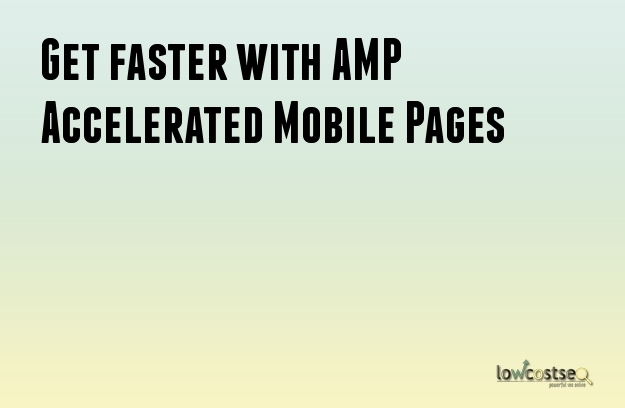 Google Search and other Google products give valid AMP documents and resources from the AMP cache so users can have an extremely fast web browsing experience. Basically, you shouldn’t just consider getting your pages AMP powered but you really have to if you wouldn’t want to get left behind. As of the moment, if your website takes time to load, you should consider the number of audiences you lose while they are waiting to see your contents. In time, search engine protocols may change by including the time it takes a page to load.